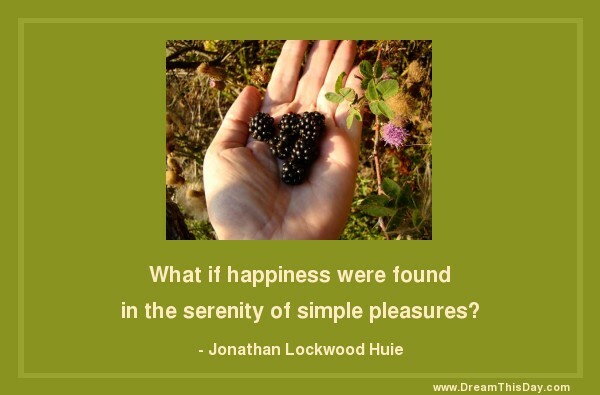 What if happiness were found in the serenity of simple pleasures? What if we didn't need the newest gizmo... the highest high? What if happiness is one fresh grape, savored with gratitude? What if happiness is in our oneness with all creation? the greatest pleasures cease to please. That man is rich whose pleasures are the cheapest. The best things in life are free.